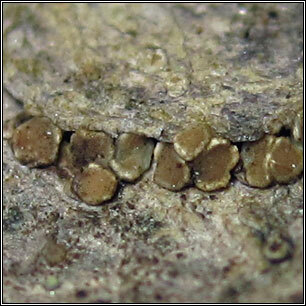 Thin or evanescent, light-grey or whitish thallus. 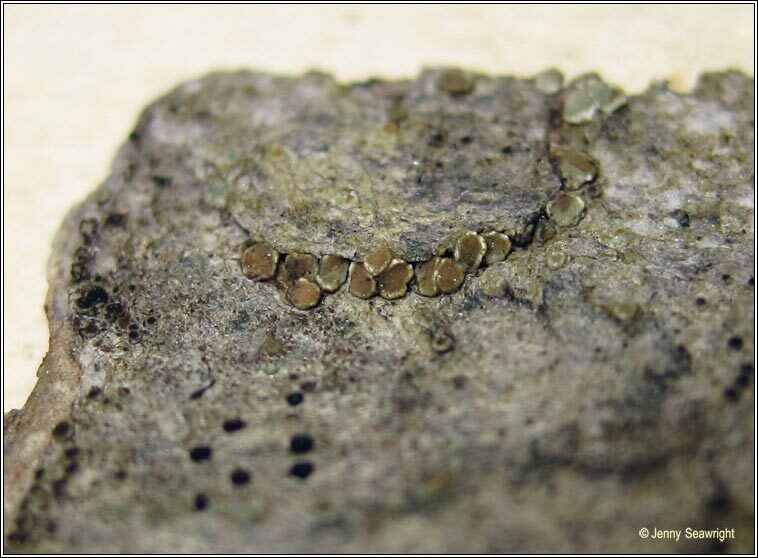 Small apothecia, pale greenish-grey to dark-brown, sometimes white-pruinose with entire margins that become flexuose or slightly crenulate. Asci 8-spored, 50-65 x 12-18 µm. 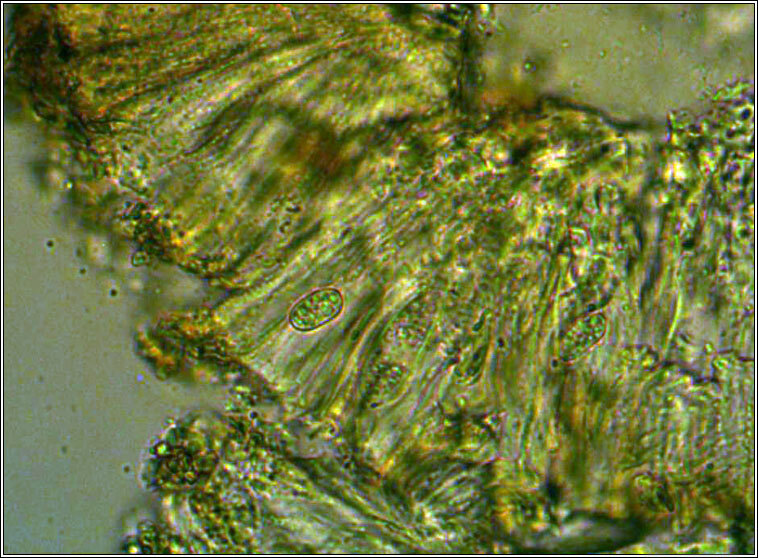 Spores simple, (7-)8.5-14 x (3-)4-7 µm. Microscope photograph below. Common and pollution-resistant. 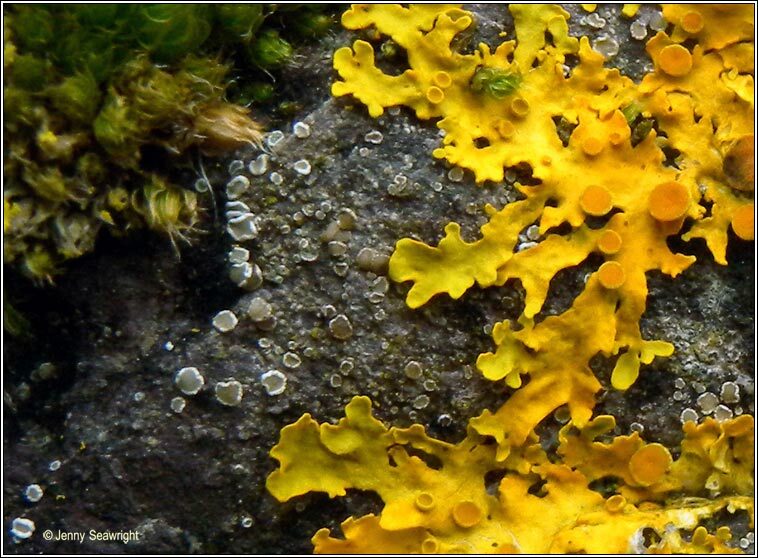 Occurs in urban and rural locations on a wide range of nutrient-rich basic substrates.